Gold Fellow address, phone, website, and more. At Gold Fellow we take your trust in us seriously and created our procedures and processes to ensure you have a safe, secure and superior gold selling experience. 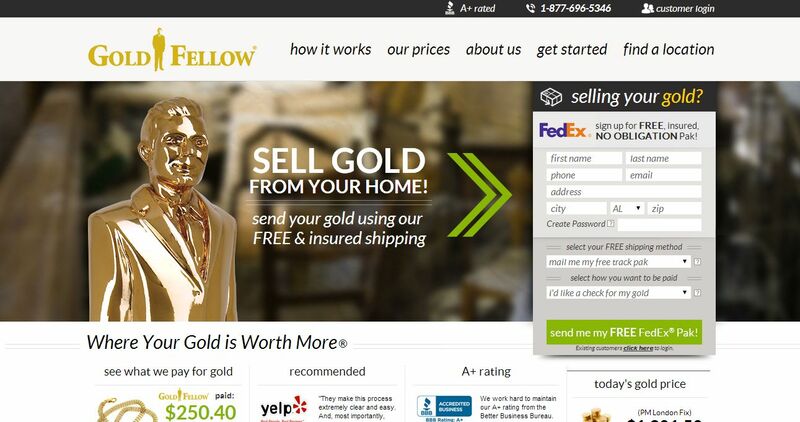 Do your homework and you’ll understand why over 100,000 people have trusted us to be their online gold buyer.